What does Loyalty mean to the average person? It seems that most humans are loyal only to their desires deep down in their heart and it shows more when they do not get what they want. For example take a modern football game and look at the fans and participants. When the University of Texas is ahead in the score and the season, the Longhorn fans are ecstatic, jovial and passionate. These fans want a win, to be victorious over the other team and will do or say anything to show their willingness to win and their die hard loyalty to their team – win or lose loyalty is what they have. Fans who are only loyal when their team wins are called fair weather fans. To be loyal in the sports team fan context has its various meanings. Let us consider the intent of an entire group of people, perhaps a riding club in the motorcycle enthusiast’s world whom has the outward intent of becoming an M.C. and a support club of an established dominant club. Around 2011 in Bell County Texas – Killeen area, which is the largest military base in the nation, a riding club named the Dirty Knuckles was founded by Arron Carpenter (ABC), who wanted to be a support club for a larger club, yet there was already an established and highly loyal support club in that area. The answer was “NO!” to forming a support club, (at least twice the answer was NO! ), The Dirty Knuckles were not only told “NO!” they were warned that the club members were wearing “unsanctioned patches.” The Dirty Knuckles not only continued to wear their “unsanctioned patches”, the majority of the Dirty Knuckles patched over to an MC that was much older, yet not the dominant club of Texas. This old club was wearing a new patch on the bottom of their 3 piece, a Texas Rocker, and they were doing their best to make sure that the current dominant club saw their defiance to wear the patch and play the part of an old school outlaw biker. Meanwhile 95% of American clubs were on the same page, unified to fight one common problem, motorcycle safety, motorcycle rights, and motorcycle profiling through a Legislative Strike Force. Now you have “unsanctioned patches” (which happen to make their way onto e-bay), an older club who insists on wearing Texas on the bottom of their 3 piece back patch (very likely also purchased from e-bay), and now patching over former prospecting clubs who wanted to be a support club for the Bandidos. 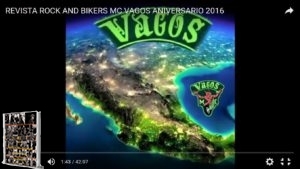 That is 3 strikes of disrespect to the dominant club of any state and this does not even include the assaults from Cossacks toward the Bandidos or members of the CoC&I of which most did not get reported to the police, or local news reporters. What would any self-respecting person do much less an International Motorcycle Club? Since contacting the police is not protocol, dealing with such disrespect had to happen in some form or fashion. These actions were made when some of the patches that have either been reserved for 1%ers or 1% clubs or that had no purpose other than advertising hate, were not only being sold online, but these patches made it onto the cuts of Cossacks who have always claimed to not be a 1% club. To anyone observing, who also knows the road, they saw it for what it was, some “want to bees” gearing up to act like bad asses, but not having the class enough to know better than whom to mess with. Don’t mess with Texas. The leader of the Dirty Knuckles had loyalty for money, profit and greed from the sale of the patches and masked it as rebellious angst towards the Bandidos who told him “NO!” Having to earn some patches meant that riders had been on their bike for a certain amount of miles, had accomplished certain training courses, and done certain work for the M.C. such as road guard duty, organizing road trips and maintaining group security. Take a road trip with a group of bikers for example, there is such a thing as what they call a road guard who will ride up front of the group, side of formation, and back of the group with the sole purpose of providing a safe trip for the group by watching out for cars and pedestrians that are not watching out for the group. Gawkers are dangerous. To ensure the safety of the group, if someone is driving dangerously the road guard will pull up next to the vehicle and stop the vehicle so that the group can go on about their trip. He risks his safety for the group’s safety, and that is no different than what these political bikers do in Congress for all motorcycle riders. The events in Waco happened to be between, what the Confederation of Clubs and Independents might call, unsafe drivers and the State of Texas’ Road Guard. Now this is not an official coining of a phrase, but it works for this analogy. The C.o.C. & I., which is a Texas anomaly for allowing independent riders (solo riders and small clubs not big enough to be M.C.’s) to join in a Confederation which is traditionally reserved for M.C. clubs and their chapters. The C.o.C.&I. were holding a meeting to discuss politics, in Waco on May 17th, 2015, when dangerous drivers hijacked the patio. As per protocol, the club that is tasked with safety for meetings and road trips maneuvered in to ensure that everything was kosher and safe, and that is when the ambush happened in broad daylight. 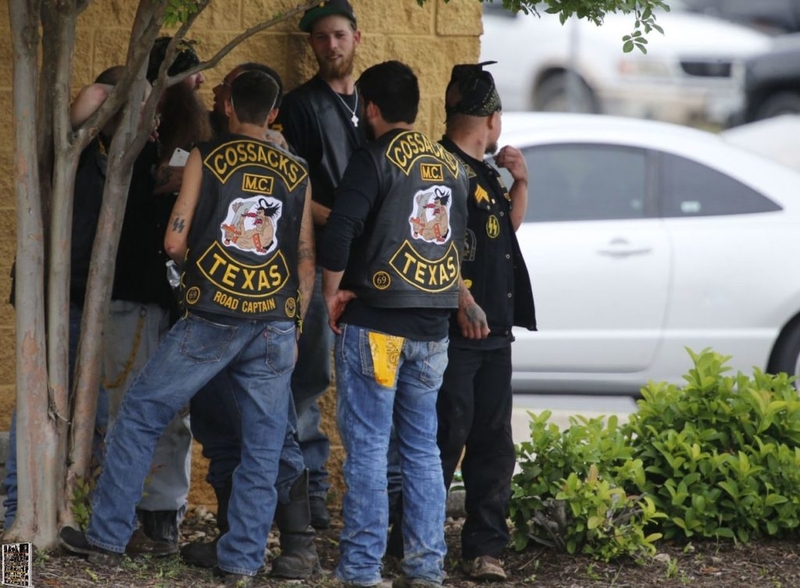 Finally the feds had proof that the Bandidos were regulating territory against the ever growing Cossack faction that dared to challenge the big bad bikers stomping grounds of Texas. Except that it was the Cossacks who were ready for a fight to include weapons of brass knuckles, whips, chains, blunt objects, knives, pistols and large caliber weapons. The Bandits were outnumbered, out gunned, and flanked on all sides, yet they were not out classed. They had one final say as to what they thought of the Cossacks. The symbolism was to have a new Bandido prospect show off his clean cut, who walked his new colors through the sea of yellow in the Twin Peaks parking lot. 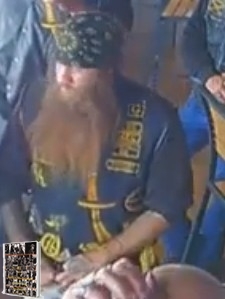 This biker, whom had left the Cossacks as their “Regional Sgt. of Arms” because they “did not share his same values,” started riding with the Free Wheelers MC a few months before May 17th. He then patched up to the Bandidos as a prospect, once his riding skills were tested and approved. This now prospect, who knew the intimate secrets and multi state dealings with other clubs of the Cossacks, and…… was now “one of them.” To the astonished parking lot of yellow, this was not cool, not cool at all. Considering the human race, we are not as loyal to our own humanity when we have a personal agenda. Humans are usually only as faithful as our options. One thing that the Cossacks did not care to acknowledge, especially publicly, is that they had been courted by an international club that had been infiltrated by the ATF several times, with the sole purpose to start a war between two clubs. This information was known by the dominant club of Texas, and since this was not the first time this sort of thing happened it would take finesse to ensure that this alliance would never take place. 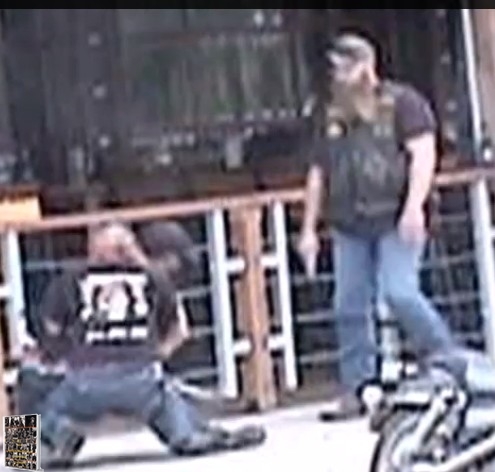 When the Cossacks flirted with the Vagos for support in wearing their Texas rocker, those who had enough snap to talk to other clubs were quickly educated as to the ATF’s standard operating procedure, and it lined up point for point with what a few of the Cossacks were doing to this formerly mild mannered Motorcycle Club. The other things that the Cossacks failed to acknowledge is how many former or current police officers of the court they had in their ranks, which in hind sight, might be sort of important to come to terms with. Having seen their former Regional Sargent at Arms stroll through a group of Cossacks with his Bandido cut on infuriated most of the members of the Cossacks, but the one who is upset the most is “Big O” and when he gets pissed, he does not hide it well at all, as he stays pissed most of the time. When a father gets upset, his son usually gets angry as well, and these two started it all on that fateful Sunday in the Twin Peaks parking lot. The Cossacks showing up to a C.o.C.&I. meeting to give a big middle finger towards the rest of the motorcycling community is proof enough to the rest of the riders that the Cossacks would never have enough common sense to earn the right to wear that Texas patch on their cut, as it gives Texas a bad name. Wearing a state on your cut means that you also voluntarily regulate the riff raff of said state, and this was one such occasion. After the Bandidos finally show up after an hour of Cossacks ordering drinks, smoking cigarettes on the Twin Peaks patio, and parking their bikes in as many open spaces as possible, the local law enforcement gang had the joint surrounded. There will be a key point of interest in the cases going forward concerning one question: Why did LE over look an assault on a female volunteer who was there to set up her booth and provide parking for the C.o.C.&I. meeting when the Cossacks came in to park their bikes? A: It seems that since she was not a “Bandido”, the cops did not care what the Cossacks did to her. Sociopath: noun, Psychiatry. 1. a person with a psychopathic personality whose behavior is antisocial, often criminal, and who lacks a sense of moral responsibility or social conscience.